Major league pitcher Brian Lawrence, football All-Americans Tony Joe Maranto and Ronnie Powell, basketball greats Bo Rayford, Eric Kubel and Stephanie Shaw Locke, and Lady Demon track trailblazer Marlene Garner comprise Northwestern State’s N-Club Hall of Fame induction class of 2017 announced Tuesday. The seven standouts will receive NSU’s highest athletic honor on Homecoming Saturday, Oct. 21, at 10 a.m. in a ceremony at the Magale Recital Hall on campus. The event is open to the public at no charge. Lawrence, who starred for the Demons in 1997-98, won 50 games in six seasons in Major League Baseball in a 13-year professional playing career. His No. 29 is one of four retired by the Demons. He became the San Diego Padres’ opening day starter in his five seasons with the Padres. Lawrence was National League Player of the Week for April 14, 2002. As a Demon, he was the 1998 Southland Conference Pitcher of the Year while winning two straight Southland championships under head coaches Dave Van Horn and John Cohen. Maranto and Powell helped the 1997 Demon football team win a share of the Southland Conference championship and reach the FCS playoffs. Both played in the NFL. Maranto, who played at NSU from 1994-97, was the Southland’s 1997 Defensive Player of the Year as a safety, and made the Southland’s Team of the Decade for the 1990s. He had 209 tackles in his final two seasons with six interceptions as a senior. Powell, a Demon from 1996-98, is one of the school’s greatest two-sport athletes, winning three All-America honors as a sprinter in track and field and running for 2,076 yards and 15 touchdowns while helping the football team win back-to-back Southland championships in 1997-98. He owned the Demons’ 100 meter dash record for 16 years with a 10.13 time and was third in the 55 meter dash at the 1998 NCAA Indoor Championships. Rayford was NSU’s first two-time All-Southland basketball selection as he played from 1986-89. He posted the eighth-best single-season scoring total, 591 points in 29 games (20.4 average), as a senior, when his 21 points and 11 rebounds led the Demons to an 85-82 win at Kentucky. He scored the go-ahead basket and took a charge in the final minute. Kubel won the 1994 Southland Conference Player of the Year award, still the only Demon to capture that honor in men’s basketball. The 6-foot-8 center, a two-year all-conference performer, averaged 24.3 points and 13.1 rebounds as a senior and ended his career (1991-94) with 1,325 points, 18th all-time in school history, and 702 rebounds, 11th best at NSU. Locke was a two-time All-Southland point guard for the Lady Demons when two of the program’s most explosive scorers, previous N-Club Hall of Fame inductees Joskeen Garner and Angela Simpson, dominated the spotlight. Locke ranks 20th all-time with 1,309 points in 119 games, is fourth in assists (578) and had 254 steals, fifth in school history at the end of her career. NSU was 88-33 in her career from 1992-96, finishing second in the 1995 WNIT and fifth in the 1993 WNIT. Garner, who sprinted at NSU from 1991-93, was twice the Southland’s 100 meter dash champion and became the first Lady Demon track and field competitor to qualify for the NCAA Outdoor Championships (1993) after being the first NSU woman to compete at the USA Olympic Trials a year earlier. She set the school 100 dash record (11.47). 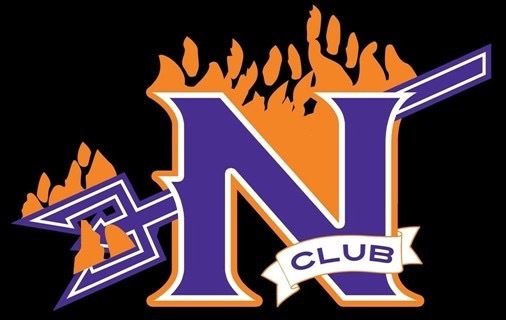 The inductees were chosen by an N-Club committee using voting by N-Club members as a factor in selections. Marlene Garner (women’s track and field 1991-93) – Two-time Southland Outdoor 100m dash champ in 1991 (11.74), 1992 (11.63) … set school record with 11.47 time as she became the first-ever Lady Demon to qualify for the NCAA Outdoors (1993) after being the first-ever Lady Demon to compete at the USA Olympic Trials a year earlier. Eric Kubel (men’s basketball, 1991-94) – Southland Conference Player of the Year in 1994 when he became the first player to average a double-double since McNeese’s John Rudd in the late 1970s … 6-8 center who had fantastic junior and senior seasons, averaging 20.7 points (539, 10th in school history) and 13.1 rebounds (341, fifth in school history) as a senior … ranks 16th all-time in scoring (1,325 points, 96 games, 13.8 ppg) and 10th in rebounding (702, 7.3 pg) … his 26 rebounds against Southeastern on Dec. 18, 1993 is the fourth-highest single-game total in school history (James Wyatt had three 30-rebound games) … career scoring high of 35 points as a junior … All-SLC as a junior and senior … helped 1991-92 Demons lead NCAA with 94.5 scoring average. Brian Lawrence (baseball, 1997-98) – His Demon baseball jersey is one of four retired here … he won 50 games and had a 4.19 career ERA in six seasons in the major leagues, including a 15-win season in 2004 for the Padres … had five years (2001-05) with San Diego and also pitched for the Mets in 2007 … was the National League Player of the Week April 14, 2002 … had 13 years overall as a professional pitcher … 1998 Southland Conference Pitcher of the Year … Demons won two straight Southland Conference championships in his two seasons, posting an overall 75-43 record under Dave Van Horn and John Cohen. Stephanie Shaw Locke (women’s basketball, 1992-96) – Two-time second-team All-Southland Conference point guard whose individual play was overshadowed alongside all-time greats Joskeen Garner and Angela Simpson on some of the better Lady Demon teams … ranks 20th all-time with 1,309 points (119 games, 11.0 ppg), fourth in assists (578, 4.8 pg) and had 254 steals, fifth in school history at the end of her career … had career-high 9 steals in win over UTSA as a junior … team went 88-33 in her four seasons as the starting point guard as coach James Smith called her “the heart of our team” … Lady Demons finished fifth in 1993 WNIT, second in 1995 WNIT … was assistant coach for four seasons until 2002. Tony Joe Maranto (football 1994-97) – An All-American safety, Maranto was the 1997 Southland Conference Defensive Player of the Year … he played in the NFL with the Saints and Browns, and in NFL Europe … made 209 tackles in his last two seasons, 106 with 6 interceptions as a senior when the Demons shared the Southland Conference championship and made their first FCS playoff appearance since 1988 … made Southland’s 1990s Team of the Decade. Ronnie Powell (football, track, 1996-98) – A three-time All-American sprinter, Powell ran for 2,076 yards and 15 touchdowns while helping the Demons win back-to-back Southland Football League championships in two playoff seasons … set the NSU 100-meter dash record with a 10.13 time, breaking a record set 16 years earlier by Mark Duper … third in 1998 NCAA Indoors 55 meter dash (6.22) after running a PR of 6.17 in preliminary round … voted by coaches as Southland Indoor Athlete of the Year and Indoor Track Performer of the Year in 1998 after sweeping the 55m and 200m, setting a meet record in 21.27 as his 20 points helped the Demons upset two-time defending champion UTA for the team crown … took same honors at 1998 Southland Outdoors … 1997 Southland Football Newcomer of the Year, voted Offensive MVP by teammates … set school record with 93-yard TD run vs. Jacksonville State … made Southland’s 1990s Team of the Decade in both football and track … went to NFL Europe, then made the Cleveland Browns roster as a receiver in 1999. Terrance “Bo” Rayford (basketball, 1986-89) –23rd all-time in career scoring with 1,129 points in 78 games (14.5 average) … posted eighth-best single-season scoring total, 591 points in 29 games (20.4 average) in his senior season of 1988-89, when he shot 56.5 percent … led Demons in rebounding as a junior and senior … NSU’s first two-time All-Southland pick, and one of our only six all-time first-team selections, getting that as a senior after second-team honors in his junior season … as a senior, and the team’s only frontcourt starter (new coach Dan Bell started four guards), Rayford led NSU to the 85-82 win in Rupp Arena that was Kentucky’s first home-opening loss in 16 years on Dec. 7, 1988, with 21 points and 11 rebounds … he gave NSU the lead for good at 82-80 with 42 seconds left on a layup inside, then took a backcourt charge 15 seconds later and hit two free throws for a four-point lead … played professionally overseas for more than a decade.